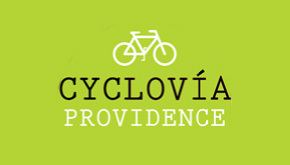 Last September, Providence had it’s first Cyclovía on Broad Street. At this morning’s Bike To Work Day, the Mayor announced an expanded list of Cyclovías in Providence for 2013. 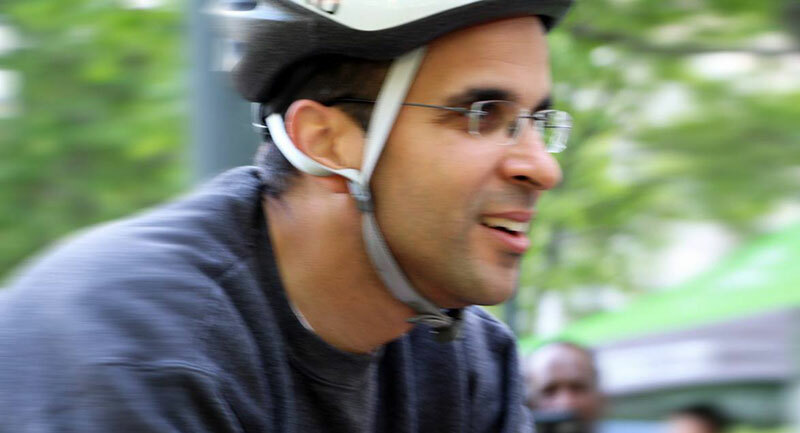 Speaking at this morning’s Bike to Work Day community celebration, Mayor Angel Taveras announced the city will host an expanded schedule of Providence Cyclovía events this summer. “Cyclovía Providence will provide an opportunity for residents from every corner of the city to come together, exercise, have fun and enjoy all that Providence has to offer,” said Mayor Taveras. Cyclovía is an international phenomenon that reportedly began in Bogotá, Colombia and has spread to cities across the globe, including New York City, Chicago, Seattle, San Francisco, Los Angeles, Miami and Cambridge, MA. Project for Public Spaces, a nonprofit planning organization, has described Cyclovía as a large-scale community building exercise that facilitates social interaction and activity between people of all ages, incomes, occupations, religions and races. Mayor Taveras announced the expansion of Providence Cyclovía after he and bicycling advocates from his staff rode their bikes this morning from the Mayor’s home to a Bike to Work Day celebration in Burnside Park. Hundreds of bicycle advocates and commuters from across the city participated in the Rhode Island Bicycle Coalition’s annual Bike to Work Day event, which featured a commuter breakfast and coffee service, on-site bike mechanics for tune ups, give-aways from local bike shops and vendors, bike valet by Recycle-a-Bike and a raffle. Local sponsors include the City of Providence’s Healthy Communities Office; Rhode Island Bicycle Coalition; the Bicycle and Pedestrian Advisory Commission; Dash Bicycle Shop; East Coast Greenway Alliance; Greater Kennedy Plaza; Whole Foods; New Harvest Coffee Roasters; Legend Bicycle; Zipcar; RIPTA; and more. Bike to Work Day, celebrated during National Bike Week, encourages residents to bike to work or try bicycling for fun, fitness and transportation. In honor of Bike to Work Day. I will leave you with this. Hooray, Providence’s new claim to fame: Worlds Shortest Cyclovia! Please, just call these events Block Parties. Even Louisville managed to close a 3 mile route. Where is the parkng for the Cyclovia? sounds like a Critical Mass Ride to me.